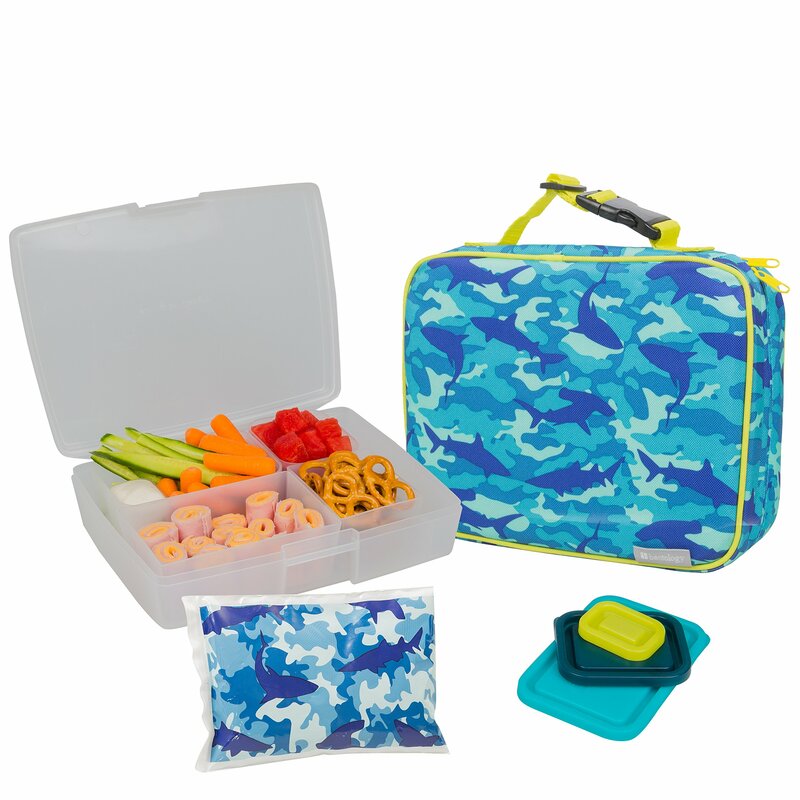 Home › Home and Kitchen › Bentology Lunch Bag And Box Set For Boys - Includes Insulated Sleeve With Han..
Bentology Lunch Bag And Box Set For Boys - Includes Insulated Sleeve With Han..
Food Safe - No Lead, BPA, phthalates / Perfect for kids on the go! Bentology Lunch Bag and Box Set for Boys - Includes Insulated Sleeve withBuckle Handle, Bento Box, 5 Leak Proof Containers and Ice Pack - Camo Design-- This bento Lunch kit is perfect for school and travel! It comes witheverything you need to get started on packing your favorite on-the-go meal!The stylish insulated sleeve is reusable and durable--it keeps food fresh andtasty. Buckle handle can be attached to the outside of backpaks and bags! Theslim design allows for easty storage without the bulk. It is fully insulatedand the interior lining wipes clean easily. The exterior is 100% polyester anddurable. The kit comes with a matching ice pack that fits perfectly inside thesleeve.The bento box comes with a translucent outer container, translucentinner lunch containers and 3 multi-colored leak-proof lids. Lids andcontainers can be used on their own or in the bento box--you can mix and matchthe containers and pack anything you want. The outer container closes tightlyoverthe containers even without the lids. The bento box is durable, reusableand easy to clean. Bentology makes having a heathy on-the-go meal easy! Madein the USA. Contains no lead, bpa, phthalates, or pvc.